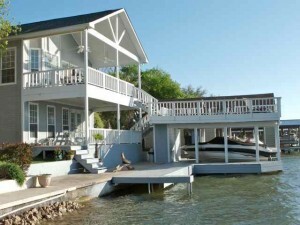 There has never been a better time to purchase waterfront real estate on Lake LBJ. With interest rates at record lows and prices down, the opportunity to invest on Lake LBJ is right now. We have created an easy to use search with accurate and up to date data on property for sale on Lake LBJ. Search by price, beds, baths, area, property type and waterfront type to drill down and find the perfect waterfront home. While you may know a lot or a little about these topics working with a knowledgeable specialist is very crucial to ensure you are making a sound investment. Because most buyers have little time to look it is important to work with a full time real estate professional that can weed through bad properties and help you find the valuable gems without wasting energy and resources on bad apples. Once the perfect property is found negotiations, property and septic inspections, repairs, buyer walk-throughs and the actual move in are all part of the transaction. As your exclusive real estate buyerâ€™s broker we are here every step of the way to offer our professional guidance and mitigate problems and risk associated with buying real estate. We leverage our experience with Lake LBJ real estate to help you find the perfect home and investment with the fewest hassles.